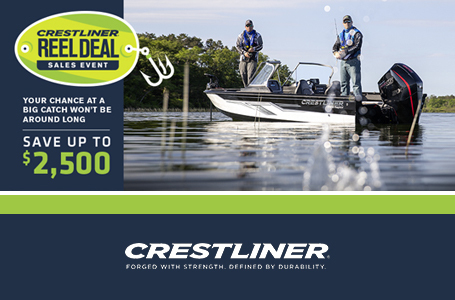 2018 Crestliner 2070 Retriever SCHD with a Mercury 75 HP 4-Stroke motor. This boat has a Heavy Duty bottom which is a .125" thick hull instead of the standard .100" thick hull. The price listed includes: boat, motor, trailer, rigging, and freight. 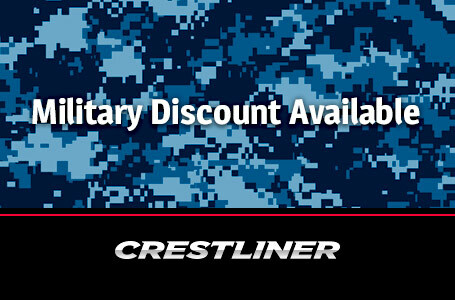 The all-new 2070 Retriever SC Heavy Duty (SCHD) is a rock-solid addition to the Crestliner family. Measuring in at 20', this heavy duty aluminum boat boasts a .125" aluminum gauge bottom, a broad beam design, and an all-welded aluminum hull that can tackle any pursuit. Not only is this the toughest Retriever model, but it's also one of the most accommodating. In addition to the aluminum side console, ample storage options, and our exclusive Lock Track Gunnel System, the 2070 Retriever SCHD is equipped with a massive 60-gallon bow livewell, which makes it especially suited for catfishing. When you need a boat that needs to be ready for anything, you can count on the Retriever SCHD to handle it. 60 Gallon Bow Livewell: A standard 60-gallon livewell fits whatever catch you can pull up. Aluminum Console: The aluminum console features space for flush mount electronics. Port Rod Rack: Portside rod racks give you plenty of space to store your rods. 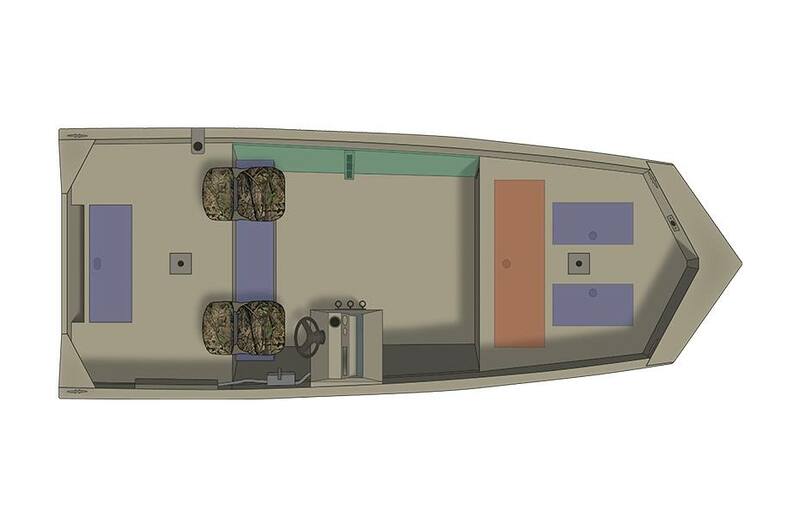 Seats W/storage Below: Seats with storage below offers a versatile fishing experience. Vertical Rod Rack: Keep up to six rods within arm's reach of the console using the vertical rod rack. Sponson Pods: Float higher in the stern and stay flat while maneuvering at top speeds. Camouflage Paint: Stay out of sight with camouflage paint options. Bench Seat W/ Storage: An optional bench seat with storage offers a versatile fishing experience. Crest-Liner Interior Coating: Non-slip, durable and easy to clean, with Crest-Liner interior coating you can focus more on the catch. Camouflage paint optional. Gunbox: Optional gunbox w/rod tubes and cushion allows you to bring whatever you need to hunt or angle. Weight (Boat only, dry): 1,289 lb. Max Weight Capacity: 1,862 lb. Aluminum Gauge Sides: 0.125 in.